St. Michael’s Preschool began in 1982, when Fr. Syrianey (our founding Pastor) envisioned a multiple use for our church’s meeting rooms. After surveying our parish population, St. Michael the Archangel Church decided to begin their own daily preschool program to support the ever growing young population of 3 – 5 year olds. In October of 1982, when the new addition was finished, the program began with a full enrollment of 192 children. A high-quality early childhood program provides a safe and nurturing environment while promoting the physical, social, emotional, and intellectual development of young children. St. Michael’s Preschool is committed to providing a developmentally appropriate learning environment, which reflects the four dimensions of Catholic education: message, community, worship and service. We are committed to the spiritual, intellectual, social, emotional and physical growth and development of each child. The program is designed to provide and appropriate nurturing and stimulation environment for the developing child during the crucial first years of life. 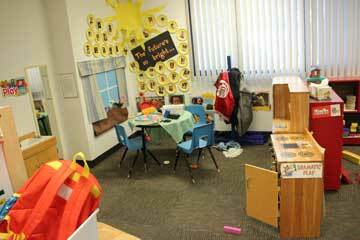 In a caring and positive atmosphere, we create a warm and happy place for your preschoolers to learn. St. Michael’s Preschool recognizes that parents are the primary educators of their children. As we bridge the gap from home to school, we guide children to maintain a continued good self-image while building social skills in a school setting. Sensory, motor, perceptual, language skills and Catholic values are introduced through materials and activities, which are both, child-centered and teacher-directed. Work is planned which emphasizes the process rather than the product, fostering a sense of accomplishment and pride. 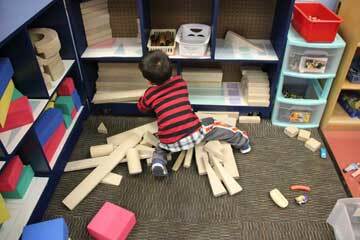 Based on the theory that children learn through play, classroom routines encourage spontaneity and creativity. Schedules are designed which balance structure and free choice, as well as active and quiet times. Recognizing that children grow in predictable stages, we work from the level each child has attained and move forward a step at a time. We treat each child as an individual with dignity and value. We teach a love of learning by allowing children to experience their own stage of development, which helps them feel success without pressure. Registration for 2019-2020 will open on Thursday, January 31st. 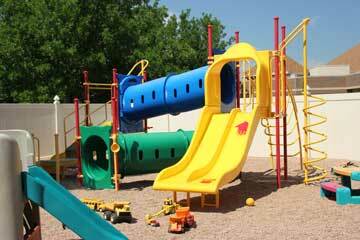 We enroll children ages 3-5. Please use the links below to register your child. Click the Green box to register and hold your child’s spot for the 2019-2020 school year. Once the registration form and the $150 registration fee is received, your spot is guaranteed. Next click the blue box “registration packet”, download the file to your computer, complete the form and return it to the Preschool office or scan it and e-mail it to maggie.swanger@comcast.net and d.toby@comcast.net. Once your completed paperwork has been received you will receive a confirmation e-mail. Please use the link below to pay your annual registration fee online. We understand and appreciate the financial commitment families undertake in deciding to send their children to St. Michael’s Preschool. And although paying for education is first and foremost the responsibility of a family, we devote significant funds each year to a financial aid budget that helps assist families. In turn, our school community benefits by attracting gifted students that otherwise would not have been able to attend. To help us objectively assess what a family is able to contribute to its student(s) education expenses, we use School and Student Services (SSS By NAIS) as a trusted third party. The SSS analysis of a family’s “Estimated Family Contribution (EFC)” is a critical component of our financial aid decision. However, it is just a start. To make our final financial aid award decisions, we use the SSS figures as the baseline for our own additional review, taking into consideration our total financial aid budget, other information we may have collected, our school’s policies and priorities, and the needs of our entire applicant pool. Due to circumstances like these, and others, our school may not meet the level of demonstrated need shown on the SSS Family Report you might receive.